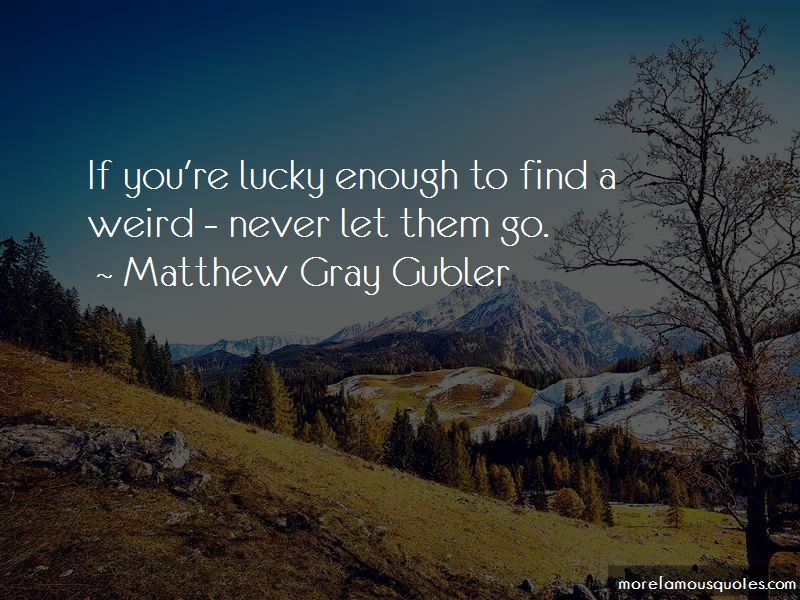 Enjoy reading and share 43 famous quotes about Never Let Them Go with everyone. “One of the most amazing things that can happen is finding someone who sees everything you are and won't let you be anything less. They see the potential of you. They see endless possibilities. And through their eyes, you start to see yourself the same way. As someone who matters. As someone who can make a difference in this world. “So let me help you out. My favorite color is-hell, I don't know. I've never cared enough to think about it. My favorite movie is-what else-ZOMBIELAND. But not because the good guys win in the end, though that's a plus, but because Emma Stone is hot." I snorted. He was SUCH a guy. "Let me guess," I interjected. "White Zombie? Slayer?" "Red. And no, not just because I want zombies to bleed.What about you? Who do you like? Because honestly, I'm surprised you know White Z and Slayer." "I like Red,too, but I'm partial to Skillet. Used to listen to them with my sister. But why wouldn't I know the other bands?" "And do you think angels are hot?" I asked primly, trying to play it cool so that I wouldn't reveal what a mess I was on the inside. All this time, he'd wanted to get to know me and date me. What craziness! “Blake, Cole, and I have been family for each other, because the ones we started with were for crap. Why they let me in, I still don't know. But because they did, I believed I was worth more than I would have otherwise." He nodded and gathered his thoughts for a moment. "Blake's company made me want to hug trees and hear music. Cole's company made me want to try harder to be a better person. I never imagined that anyone could love either of these men enough for me to let them go." "But I didn't know about the McHugh girls. Their love is fiercer than guns. More powerful than fistfuls of money. I can walk away because of them. Officer McHugh? I want to thank you again for letting me see this through. I know my peace of mind is far from your concern, but I appreciate it anyway." “But then I realized, they didn't mean their own mothers. Not those weak women, those victims. Drug addicts, shopaholics, cookie bakers. They didn't mean the women who let them down, who failed to help them into womanhood. They didn't mean the mothers washing dishes wishing they'd never married, the ones in the ER, saying they fell down the stairs, not the ones in prison saying loneliness is the human condition. 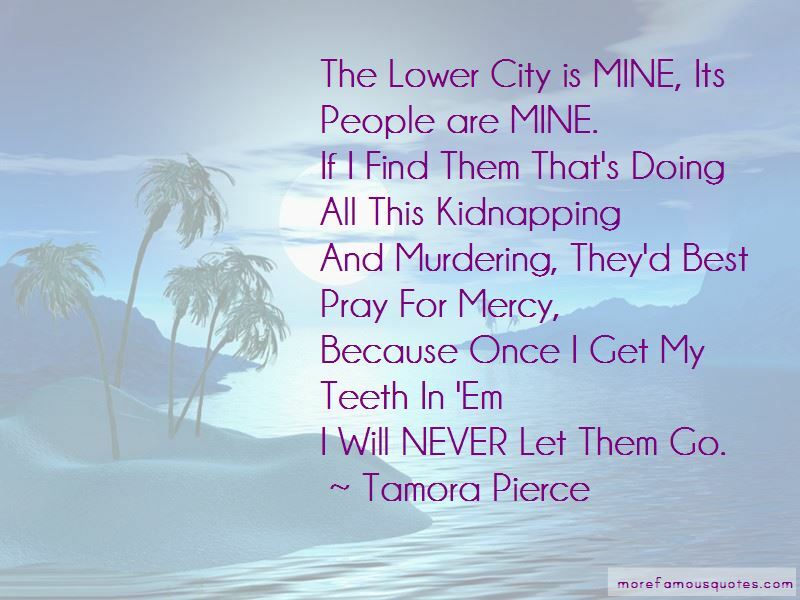 “The Lower City is MINE, Its People are MINE. “You must dedicate your whole life to this idea: you are the caretaker of every single person on this ship. They are your responsibility. You can never show weakness in front of them: you are their strength. You can never let them see you in despair: you are their hope. 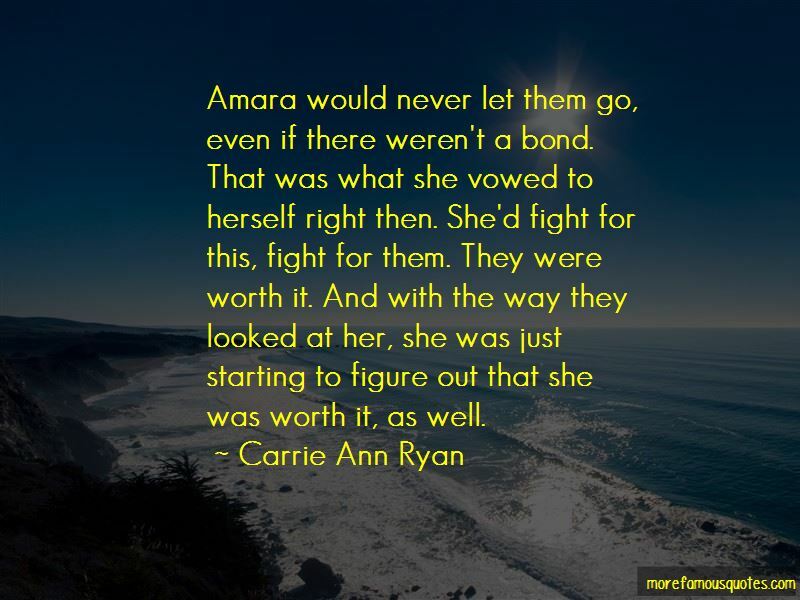 Want to see more pictures of Never Let Them Go quotes? 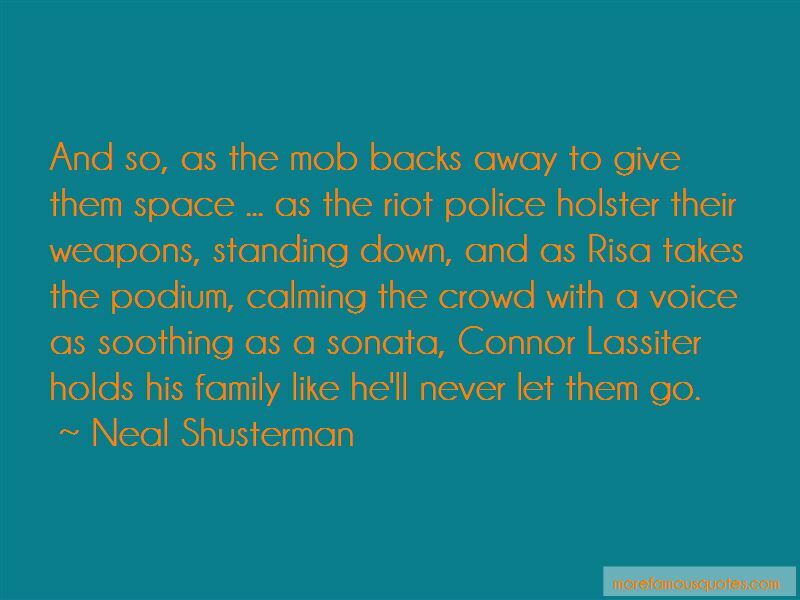 Click on image of Never Let Them Go quotes to view full size.